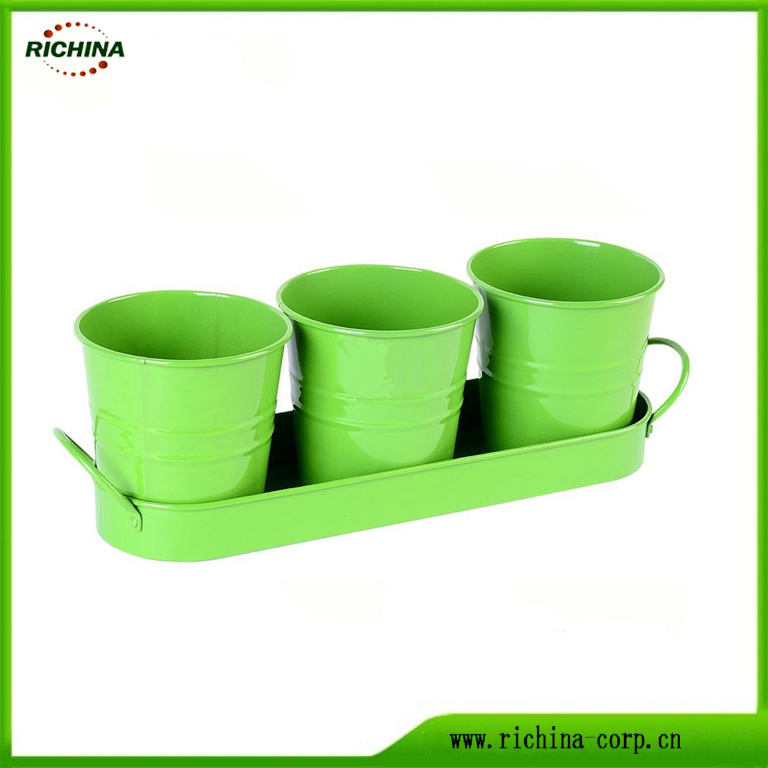 This Set of 3 Flower Pots and Tray is perfect for growing herbs while allowing you to separate the pots for cultivating. Each Galvanized Planter Pot is adorned with our herb print and fits into the white oblong tray. This Metal Flower Pots Set is ideal for indoor or outdoor growing and is a great addition to the rest of our herb print collection. Three Herb Planter Pots sit in a metal saucer, it is a fun way to display your favorite plants. This Metal Flower Pots with Tray made of galvanized steel and can be printed based the client request. This Flower Pots Set is a great addition to the rest of your herb collection. 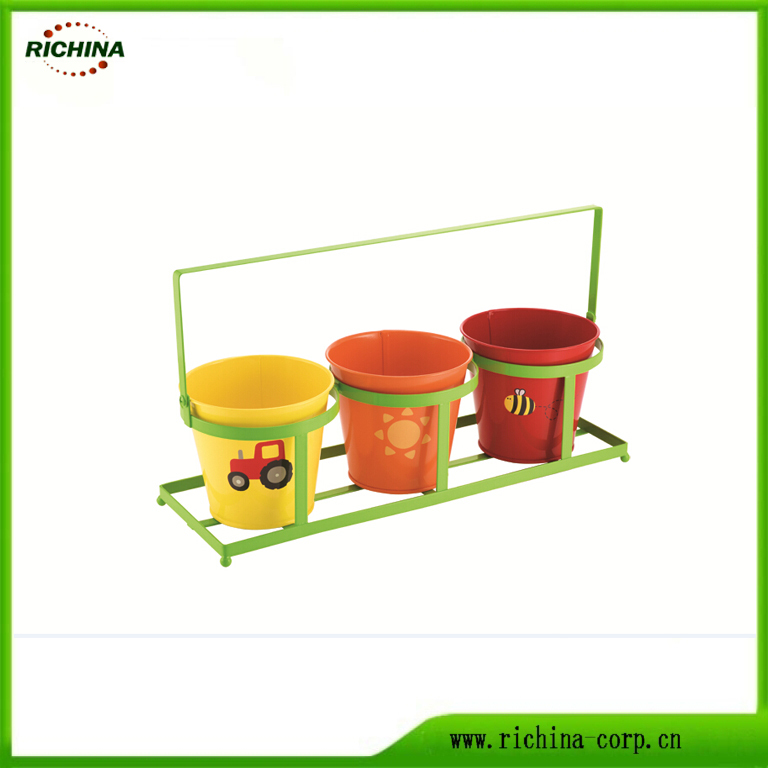 Looking for ideal Metal Flower Pots with Tray Manufacturer & supplier ? We have a wide selection at great prices to help you get creative. All the Set of 3 Metal Garden Herb Planter are quality guaranteed. 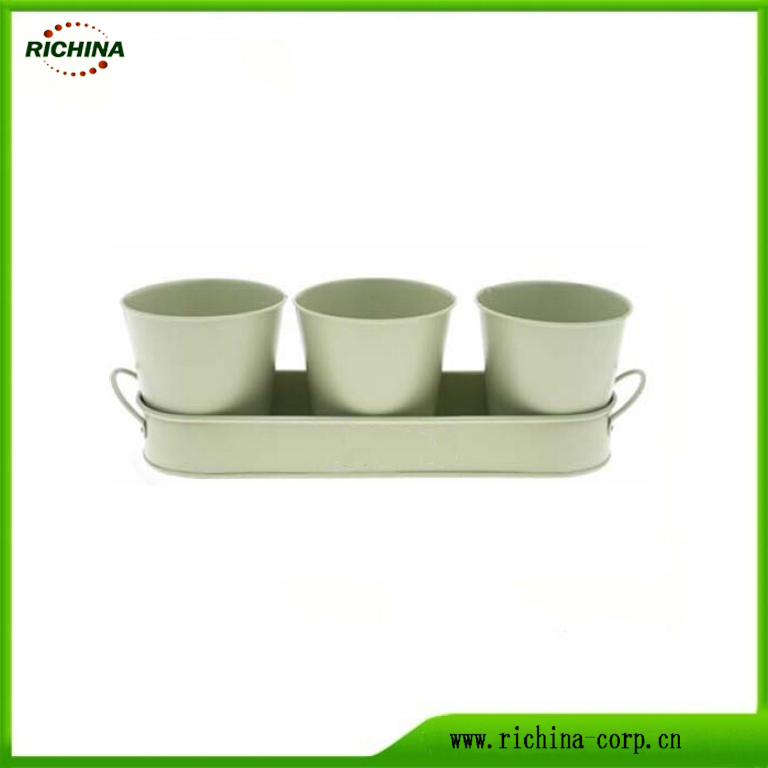 We are China Origin Factory of Metal Planter Pots with Tray. If you have any question, please feel free to contact us.